Caught Short! A Saga of Wailing Wall - IFA Vintage and Current Book Library - Index Fund Advisors, Inc. Publisher: Simon and Schuster, Inc.
Notes: This booklet is a humorous rendering of being caught short and losing everything on Wall Street, except your sense of humor. 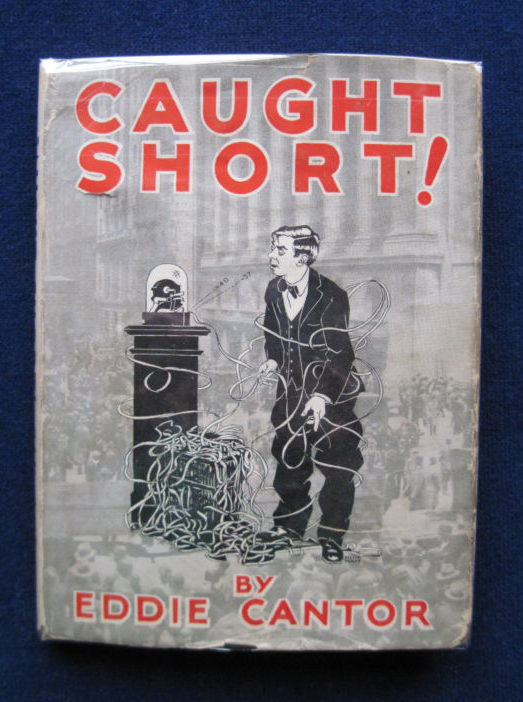 Written by Eddie Cantor, the comedian, author, statistician and victim, in a delightful style that will keep you giggling at his failure at investing. Profusely illustrated.